Archery Ambassadors help to inspire 500! Heike Palmer and Joshua Smith have helped to inspire almost 500 children from 17 schools at a special archery tournament in Birmingham. Do you have the potential to be a national para classifier? Are you interested in becoming a national – and possibly international – classifier in para archery? 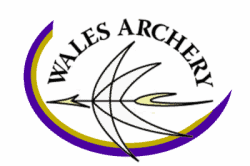 Or do you want to find out more about classification procedures so that you can find new archers or be more tuned in to training them? Then we have a fantastic opportunity – but you need to be quick. Tune in for Alex’s big TV date! Thanet Archers’ Alex Moss made quite an impression on Jeremy Kyle when they met - and you can find out why by tuning to ITV1 at 9.25am this Friday, 12 April. It’s April - so that means pro-rata membership fees are now in place for any new members who join between 1 April and 30 September. Congratulations to all the young archers who took part in the scheme this year! Whatever your score, it represents the dedication and commitment to archery of our juniors and we thank all of you for your efforts. The January Challenge results are in – and there have been more entries than ever before. The University of Warwick finished top of the medals table at the finals of the BUCS Indoor Championships – but only after some epic battles.